How many of you were led to believe that there is no success in the creative field? That there is only a future in the medical, legal, or education field? Because of this, did you disregard your dream and pretend that it's not something you want in your life? In this case, you should never listen to anyone else but yourself. When it comes to dreams, it's all yours so you are in charge - even if they say you are not going to succeed. Just keep going because if you love something, you will go out of your way to turn your passion into your future. Meet Carol, our 4-Week Intensive student who believed the same thing. She started playing with makeup when she was a teenager, but she was scared to take this passion seriously. She grew up to believe that her passion is just an interest; that she will not make it into the real world with "just" makeup. But later on, she knew it was time to chase her dream. Signing up for classes at a makeup school was her first step. Her personal intention was to build a community of women who share the same passion as her. She did have some second thoughts, and this bothered her. However, she found comfort at Nina Mua. She felt more motivated when she found herself around different women (teachers, staff, and classmates) that supported each other. Now, she is on her way to becoming a full-time makeup artist and a makeup teacher. Believe that there is success in ANYTHING if you do something to achieve it. She took action by enrolling herself in a makeup school because she knows that being professionally trained will take her a step closer to her ambition. Another student that we look up to is Camila from the Master Makeup Program. She hails all the way from Colombia, and she followed her passion to study makeup artistry in New York. She’s very sweet in nature but she has a strong attitude towards creativity and makeup itself. Since then, she has expressed her talent through the three photo shoots that came with her program. She can do both natural and creative makeup, but she personally found natural makeup to be the most difficult. Natural looks are most often the hardest to create because can you imagine having to apply makeup to achieve a look that makes you look like you don’t have makeup at all? Crazy concept but that’s where the money is when it comes to this industry - especially in advertising. This is why in all our photo shoots, we require our students to do at least one natural makeup. Besides that this is practice for our students, another reason is that professional models themselves will always need this look for their portfolio and trust us, they will thank you. We teach our students that wherever you go, the first thing that an employer or client looks at is how good you are at enhancing beauty without making drastic or obvious changes on the face. For example: Do you see commercials or movies with actors and actresses who have heavy makeup? You don’t - because in film/TV, they want those onscreen to look as natural as possible. So if you are ever planning on being a celebrity/TV/film makeup artist, challenge yourself with the natural makeup look. Taking the right program catered to your need will help you create more flawless looks and also open doors for you. 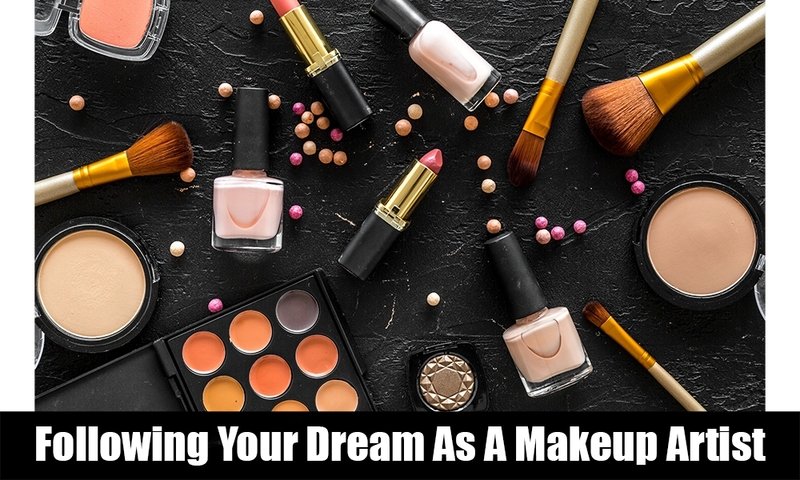 We offer several makeup programs because we think about individuals who want to take makeup artistry as a career and those who just plainly want to learn proper techniques to do on themselves. Our programs are also either full-time or part-time to fit anyone's schedule. We are always excited to welcome new students in all of our programs. It makes us happy to see that there are brave souls out there who push themselves to do what they've always wanted in their life - despite what others think or say.